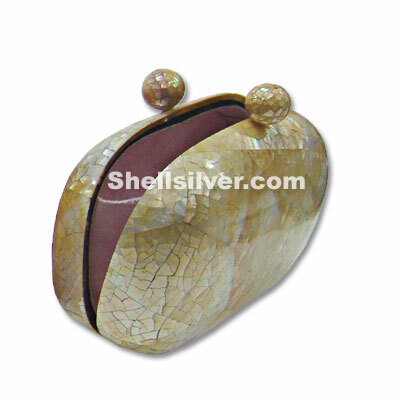 Shells Bag or evening clutch handbag made of mother of pearl or MOP shell in oval shape 6.25x4.5x2.5 inches in cracking inlay design. 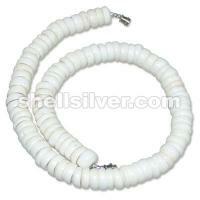 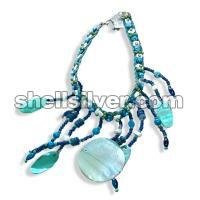 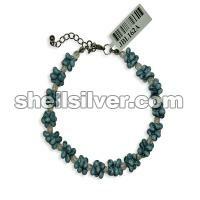 Bracelet 7.5 inches in 4 mm acrylic beads clear white and mongo shell blue gray. 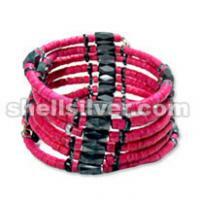 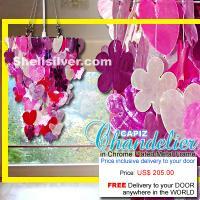 2 layers Capiz chips natural white, pink and violet mixed design, 53 strand, 253 pcs. 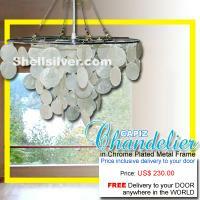 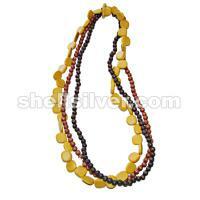 50mm capiz chips, 13 inches base to bottom, head frame 8.5inches diameter.